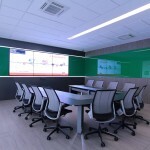 GESAB has become a reference company in Mexico thanks to the design and quality of its solutions, primarily for control room and command centers, both in turnkey projects, working on the design, conceptualization, interior design and project implementation as in the advisory and consultancy services for control room, as well as technical solutions such as technical furniture and audiovisual solutions such as vidowall and LCDwall. 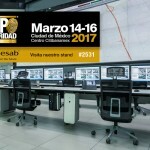 After several years with an office in Mexico City and a staff of over 30 people and growing, GESAB has boosted business relations between Spain and Mexico, which has culminated in the commemoration of the 125th anniversary of the Chamber of Commerce of Spain in Mexico, where have also participated Spanish and Mexican authorities as Jaime García-Legaz, Secretary of State of Commerce in Spain, noting that “the Chamber has played an irreplaceable role” in reference to the corporate conversion between the two countries, being this event a perfect opportunity to highlight this magnificent relationship . Ildefonso Guajardo, Secretary of Economy of Mexico, emphasised the great work of Spanish companies in the economic and social development of Mexico, adding that “Mexico and Spain are two economies projected to be one of the most important nations in the twenty-first century “. 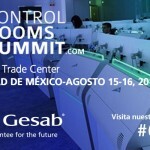 Meanwhile, GESAB firmly committed to the Mexican market through investment in people and innovation, providing high added value to its products and services. President of the Chamber, Fausto Gutierrez Navas highlighted the important work of this institution to boost the current presence of more than 5,000 Spanish companies in Mexico.